The love affair with peaches continues. 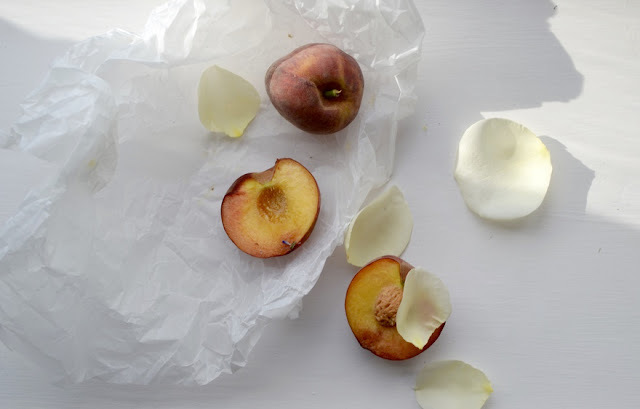 Imported from southern Europe - white, perfume rich peaches from Campania, juicy yellow peaches from Piedmont - few things signal the dizzy, balmy height of British summer better than the arrival of rosy ripe peaches. 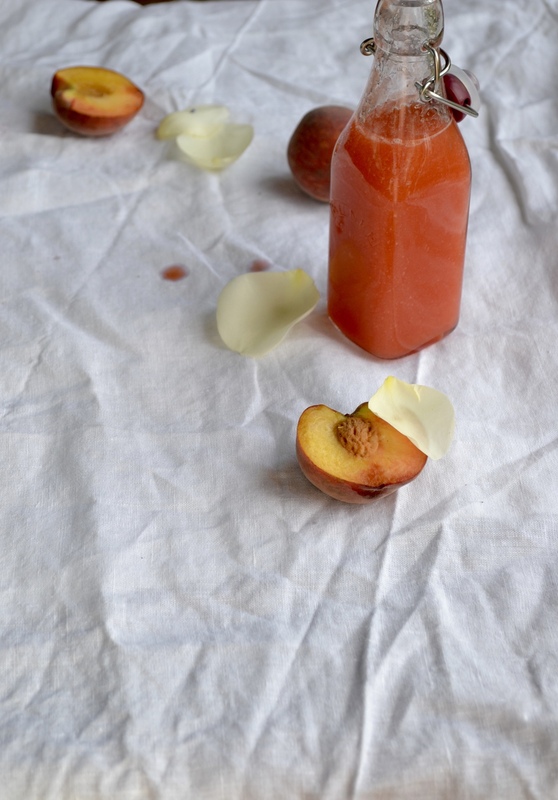 The sweet, soft flesh of peaches lends itself perfectly to pureeing, but their delicate taste can make them a tricky fruit to celebrate when paired with other flavours. Fragrant rose, when used correctly, is a time-tested classic to use with peaches. Homemade lemonade is perfect to refresh hot and bothered souls on a summer's afternoon. 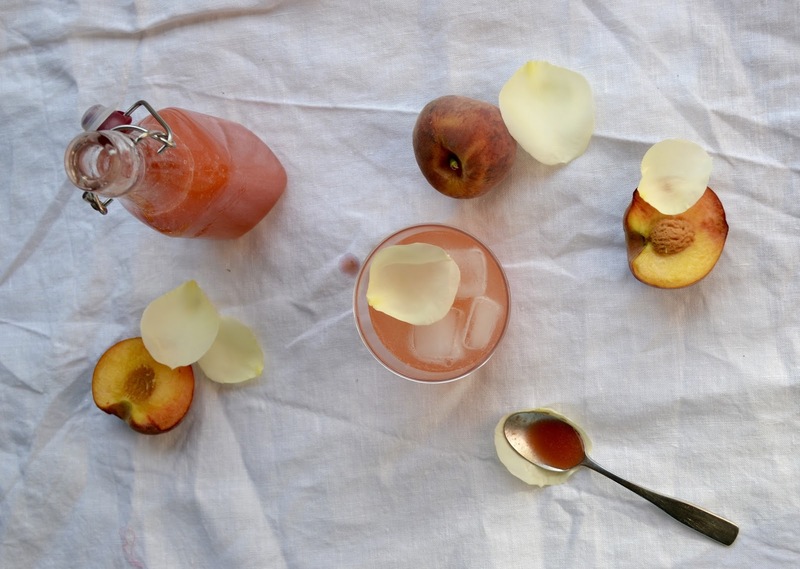 My version, which uses a thick peach and rose puree along with fresh lemon juice, makes this childhood classic a classy alcohol-free option for adults and children alike. This recipe is also available - along with lots of other seasonal recipes by me - on the new Kitchen Garden Magazine website here. Place the chopped peaches, water and sugar in a small saucepan. Bring to the boil, then simmer for 20 minutes or so, until the mixture has reduced and the peaches have broken down to a thick, jammy texture. Remove from the heat and leave to cool. Once cooled, puree the peaches in a food processor, then strain. Add the lemon juice and rose water to the puree, then pour into a clean sterilised jar or bottle. To make lemonade, use one part puree, one part ice, and two parts sparkling water. Store the puree in the fridge, and consume within one month.